by Clare Meredith ACR, Chairman, Textile Conservation Foundation. 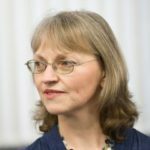 The Trustees of the Textile Conservation Foundation (TCF) are delighted to learn of the news of Frances Lennard’s promotion from Senior Lecturer to Professor and, as Chairman, I invite all readers of this blog to join in TCF trustees’ congratulations to Professor Lennard. Frances joins just a tiny handful of professorial appointments within the conservation profession and is the first UK Professor of Textile Conservation. Her career path started as a postgraduate student at the Textile Conservation Centre (TCC) where she subsequently worked in the Conservation Services Section. Frances then worked as a freelance textile conservator in Somerset, in partnership with Fiona Hutton, returning to the TCC in 2001 where she took on the role of Programme Leader of the MA course until the TCC’s closure in 2009. In 2009 the TCC, renamed as the Centre for Textile Conservation (CTC), relocated to the University of Glasgow where Frances was appointed Senior Lecturer and Convenor of the MPhil Textile Conservation course. Situating Pacific barkcloth production in time and place, funded by the Arts and Humanities Research Council and a partnership between Glasgow University’s Hunterian Museum, the Royal Botanic Gardens Economic Botany Collection at Kew, and the Smithsonian Institution, reflected in the appointments of three project staff within the CTC – an historian, a conservator and a scientist. From the Golden Age to the Digital Age: modelling and monitoring historic tapestries, funded by a Leverhulme Trust Research Grant and is a partnership with Glasgow Museums, Glasgow University’s Engineering Department and Historic Environment Scotland. 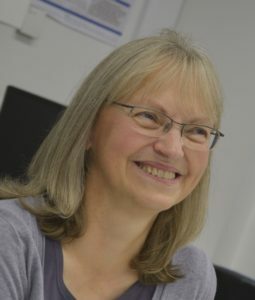 Lecturer and pilot phases of further research projects are underway, led by Frances and Anita, as well as other colleagues, which have already resulted in an increased number of research assistants and PhD students. 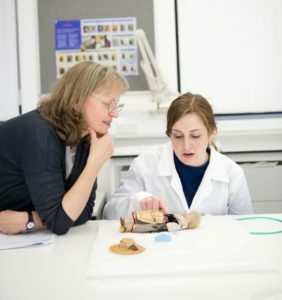 Underpinning Frances’ publication and research is delivery of the acclaimed two-year MPhil Textile Conservation course where she leads an energetic and committed team of teaching staff. Annual cohorts of eight post-graduate students are put through their professional paces and, upon graduating, add to the CTC’s exceptional internship and workplace track record. Huge congratulations to Professor Lennard, what an achievement, and an acknowledgment of an enormously successful academic career. Congratulations Professor Lennard!! I truly admire your work. Absolutely amazing news! Congratulations Professor Lennard, a true inspiration to so many of your students. Congratulations Frances! Wonderful achievement and well deserved.